It costs more money to NOT be with PPA! Photographers who leverage their new Professional Active membership with PPA keep their pockets and business happy. PPA members can become more profitable while saving a ton more money! It's a win-win. More than 30,000 photographers already belong to PPA, so what are you waiting for? Make PPA your new professional-photography home! PPA is a nonprofit created by photographers, for photographers that helps those who want to take photography and entrepreneurship to the next level and develop profitable (and sustainable!) businesses. Join the PPA community! not only will you make new friends, you'll also learn how to bridge the gap that's widening between photographers and consumers. 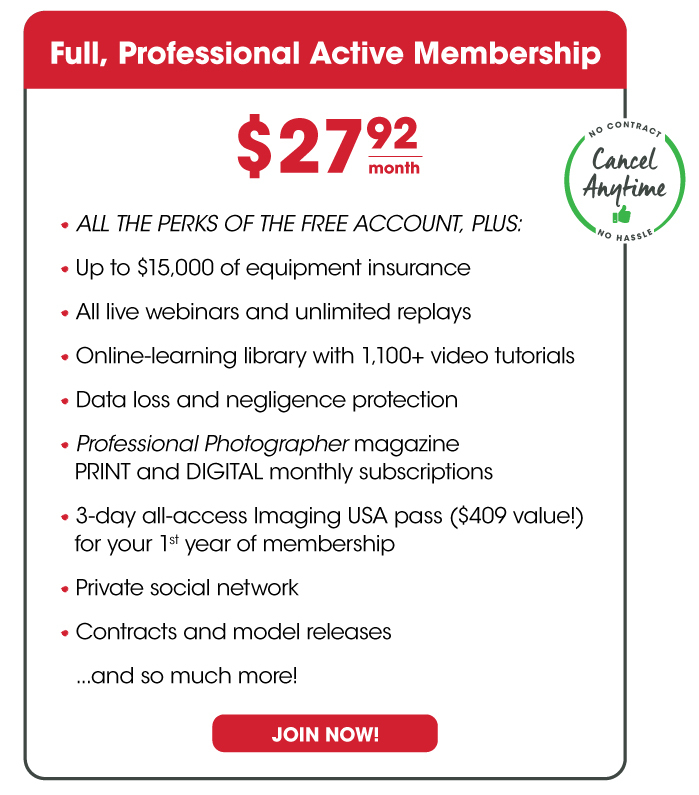 Want to find just the right membership for you?